The Sub bass and Harmonics Enhancer. Use this on any track where you want to achieve a thunderous low end or punchy presence. Perfect for making kick drums sound huge and creating earth-shaking basslines. The Sub Mode Selector buttons allow you to choose a frequency range to boost. The Lo Focus knob boosts low end punch while the Clarity knob gives you more definition and snap. 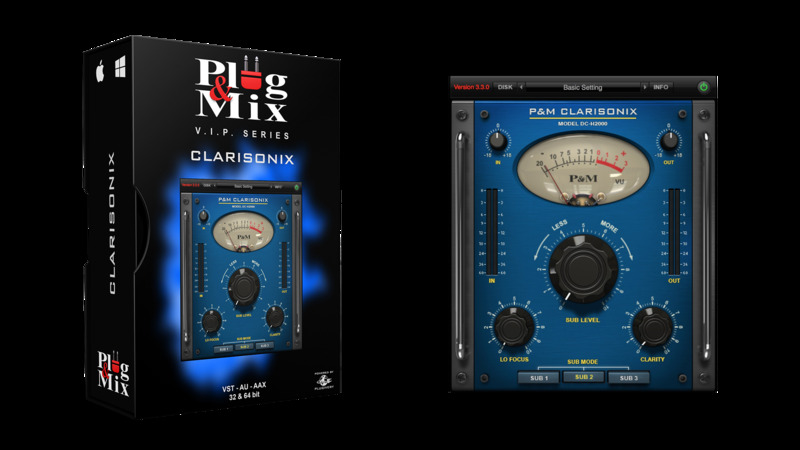 The Clarisonix is the ultimate plug-in to extend your low-end and achieve impressive bass lines. - Sub Level : Adds less or more Sub Level. - Lo Focus : Boosts Low frequencies. - Clarity : Adds more high frequencies. - Selector - Choose between Sub Modes 1, 2 & 3. Each mode emphasizes a different sub frequency.